1. 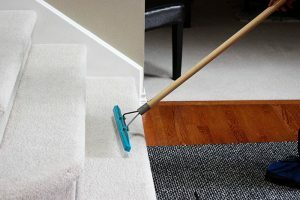 Soil Suspension: We apply a pre-conditioner to your carpet and allow it to dwell for a period of time to be most effective. 2. Extraction: Following Soil Suspension, we then utilize our powerful truck-mounted system to flush out the soils from your carpet. Starting with the edges of a room, we clean the corners and/or edges of the furnishings you don’t want moved. We then move to the main areas of a given room to complete the Extraction process. 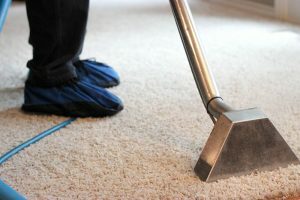 to clean your carpet, we know the hotter the cleaning solution, the more powerful and efficient your cleaning agent will clean the carpet. 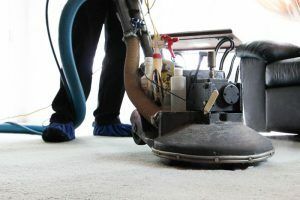 We then vacuum the dirt and cleaning agent back into the truck, Leaving your carpet clean and fluffy for you and your family to enjoy. 3. 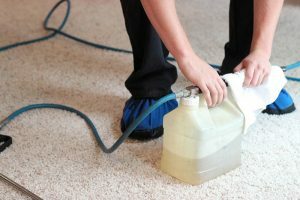 Rinse: Following the Extraction process, we apply a rinsing agent to your carpet. This may be likened to applying conditioner to your hair when you wash it. This rinse will neutralize any cleaning residue, should we leave any behind. It also leaves your carpet feeling soft. 4. Finish Grooming: Once the rinse is applied, we then groom the carpet to regain the nap that was lost and to facilitate drying. Your carpet is now ready for light traffic. time could sometimes be longer depending on activity in the home. We serve Salem, Keizer, Dallas, Woodburn, Silverton, Aumsville, and the surrounding communities.